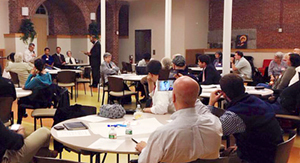 Fenway CDC has been at the forefront of community-based planning and organizing with notable success. We collaborate with non-profit organizations, issue-specific groups, local institutions, elected-leaders, and others to build resident engagement with the goal of securing a more inclusive and sustainable future for our community. As issues emerge for residents, we help different constituencies address these challenges. Our efforts are guided by a diverse and inclusive coalition that includes individuals of different socioeconomic backgrounds, nationalities, ages, and abilities. To learn more about the Inclusionary Development Policy, click here. To learn more about the Community Preservation Act, click here. Fenway CDC has a long history of supporting tenants to preserve “expiring use” units through community organizing. Our efforts have contributed to the preservation of nearly 600 units of expiring use housing. As the only neighborhood-based group in the Fenway working to preserve affordable housing long-term, we are organizing tenants and building leadership from within the community. 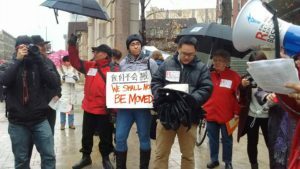 Our tenant organizing activities promote social and economic diversity as well as social justice. Our counseling and training support has intervened to help hundreds of at-risk residents remain in their homes, manage conflicts with landlords, and advocate for themselves to improve their living conditions. We work with elected officials, other community organizations and CDCs, Greater Boston Legal Services, Massachusetts Alliance of HUD Tenants, and Metropolitan Boston Housing Partnership to provide stabilizing services to Fenway residents. For more information, please contact Colleen Fitzpatrick at cfitzpatrick@fenwaycdc.org or (617) 267-4637 x16. The Fenway’s Urban Village Committee (UVC) is composed of community members who volunteer to monitor development projects in the neighborhood. The committee is structured to have one point-person assigned to each major development project with other UVC members in supporting roles. The UVC writes comment letters to the Boston Planning and Development Agency expressing community input on each development project. For more information, please contact Richard Giordano at rgriodano@fenwaycdc.org or 617-264-4637 x19. 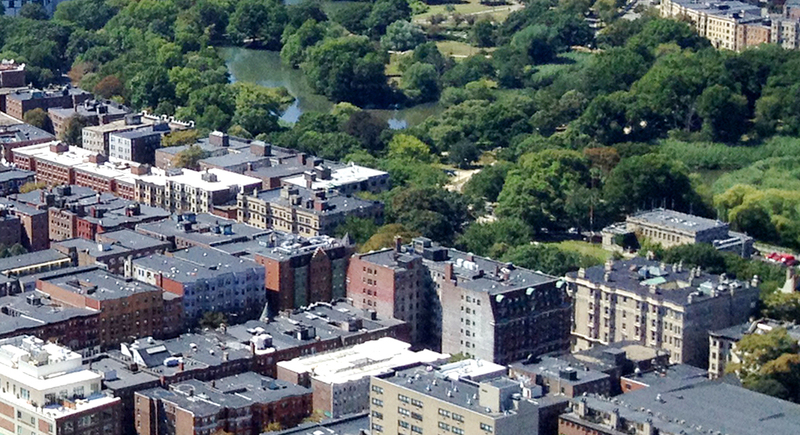 The Fenway’s Urban Village Plan is the residents’ vision for the Fenway neighborhood’s growth into the 21st century. We envision building a smart-growth, transit-oriented residential neighborhood in the heart of the city of Boston that welcomes to the broadest spectrum of residents. 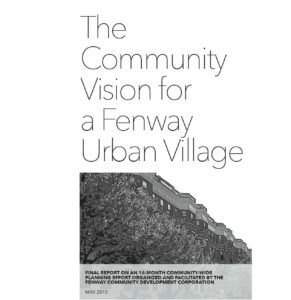 The Urban Village Plan for the Fenway was first introduced in 1992 and was updated in 2007, 2009, and 2015. Fenway CDC aims to be a catalyst and a partner in the transformation of the Fenway neighborhood into an “urban village” in the narrow modern definition of the planning term: an environment that is self-sustainable – where people can live, work, shop, and entertain in a single urban area.